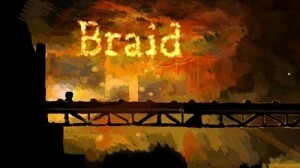 Braid, a well known independent game which was first released on the Xbox 360 and later on Windows, is finally available for the Mac. From TUAW: It’s a classic 2D platformer in the vein of Mario with a very important twist: you can reverse, slow, and replay time throughout the various levels. That twist results in an extremely artistic game that takes apart the original Mario story and ends up with something very much more beautiful and sad. It is now available for $14.95 for either Mac or Windows machines. A demo is also available for download. Cool I was waiting for the Mac release !! one of the greatest new platform games ever !